Spring into fitness with trainers Cat, AJ and Bethany! 3 CREATIVE AND FUN WORKOUTS THAT BREAK THE FITNESS MOLD EACH WEEK FOR 4 WEEKS. A CHANCE TO CREATE A HABIT, LOSE WEIGHT, AND BUILD MUSCLE! 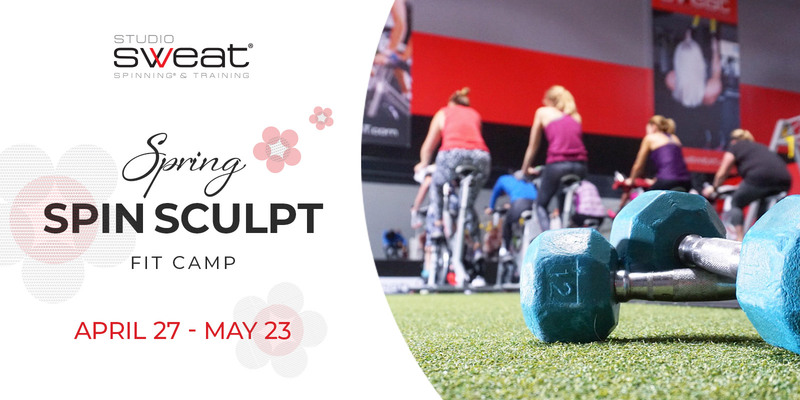 TUESDAY AND THURSDAY NIGHTS SPIN® SCULPT WORKOUTS CREATED JUST FOR FIT CAMP! SATURDAY MORNING FIELD TRIPS AROUND SAN DIEGO, MAKING THE OUTDOORS YOUR OWN GYM! When will the 4 Week Camp Begin & When are the Workouts? Saturday, April 27th through Thursday, May 23rd. Workouts will be Tuesdays & Thursdays @6:45PM, plus Saturdays @7:00AM. Who are the Trainers? Cat, AJ & Bethany! How Much will the 4 Week Camp Cost? Only $225! *Fit Camp Veterans get an extra $50 off by using promo code 50OFF4VET at checkout. Those are all the questions I predicted you’d ask, but if you have any more just let us know. 12 Workouts for only $125 – That’s like 30% Off! 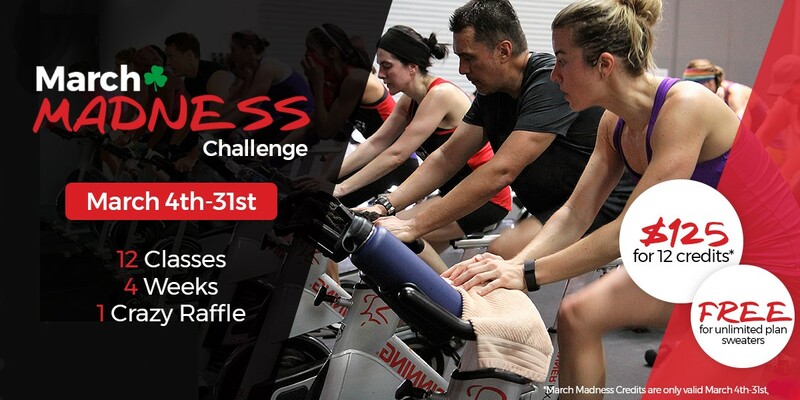 Join the Madness this March by signing up for this 4 week CHALLENGE. 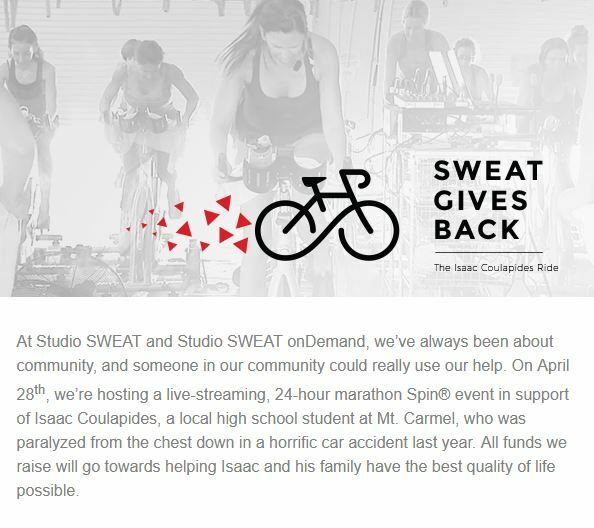 Get in 12 or More Studio SWEAT Workout Days Between March 4th & March 31st. Your classes are included in the price! Get one 2-a-day (two workouts in one day! Raffle for Cool Prizes for Those that Successfully Complete the Challenge! THAT INCLUDES YOUR 12 CLASSES! That’s over 30% off the Average Class Rate Paid! just your name on the challenge board located by the front desk in the studio! Reach Your Health & Fitness Goals with R.D. Miriam Now! You work hard at Studio SWEAT. You push. You move. You SWEAT! That’s half the battle, and you’ve got it nailed. Now let us help you nail the second half of the battle… your nutrition! Miriam is a licensed, experience, “practice what you preach” expert nutritionist that is committed to guiding you into making life decisions that put your health as a priority. She has a Masters in Public Health/Nutrition from Loma Linda University, and has a Registered Dietitian license. Miriam isn’t about fad dieting. She’s about lifestyle. She’s about learning. She’s about reality! What works for Paul does NOT necessarily work for Peter, ya know? We use the term Personal Nutrition Coaching because it’s not a one size fits all folks. So, get some help. You’ve got one body…take care of it!. How do I set up my Personal Nutrition Coaching? It’s simple! 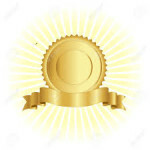 Buy your nutritional session using the button below. Then, Miriam will contact you directly to set up your meeting time! Your initial training includes a 60 minute one on one session where Miriam will work with you to understand your needs and goals in an effort to come up with a solid plan of attack. CLICK HERE TO LIVE STREAM THE EVENT! 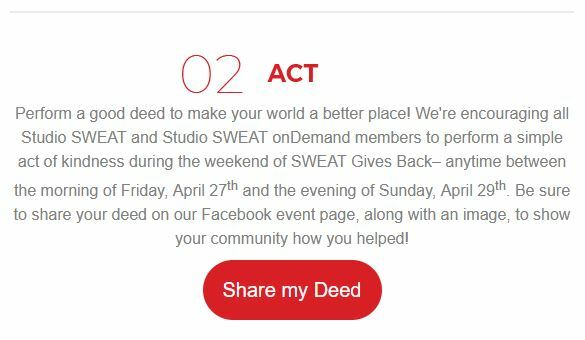 For locals interested into becoming regulars at Studio SWEAT we offer your first class free AND a full month of unlimited classes for only $79! 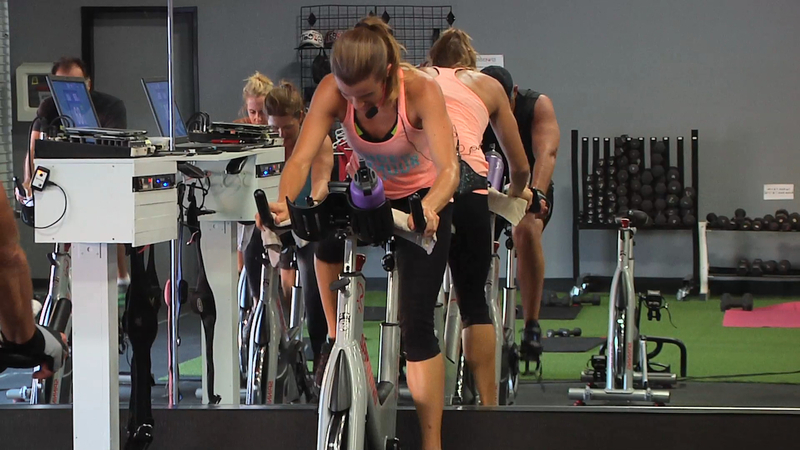 This intro month must be purchased within 7 days of your first visit to Studio SWEAT. Buy My Intro Month Now! If you do not see it as an option it’s because you are outside of your 7 day window. Get Gift Cards You Can Print or Email! 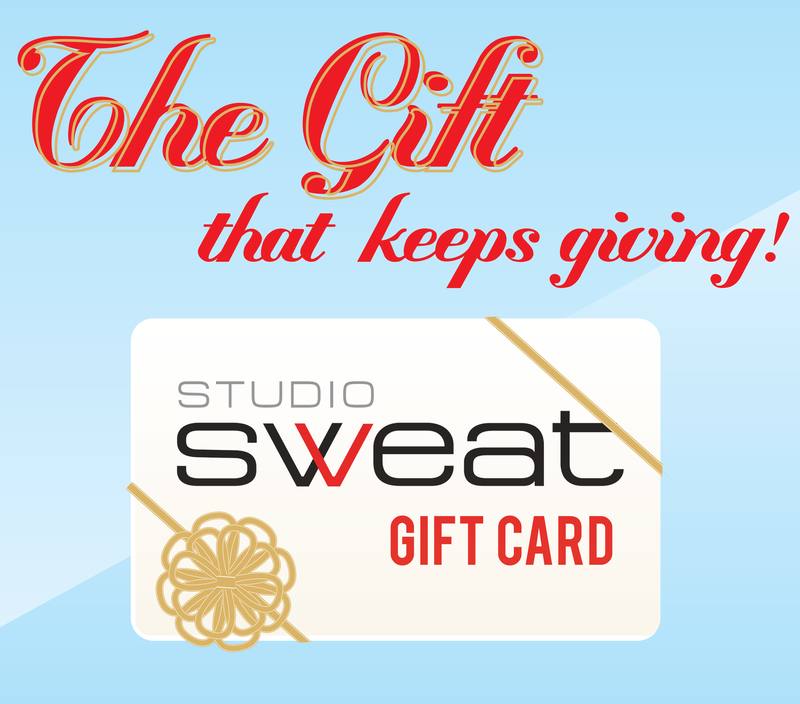 You can choose a Gift Card for specific items, like a 10 Pack of Classes or Choose Flat Rate Amounts Your Giftee Can Use for Any Studio SWEAT products or Services. Honestly, thank you guys so much for being the loyal, hard working clients that you are. You help us keep our doors open and keep our family together and growing. Check out the list of those already officially deemed Studio SWEAT Super Stars, plus see what fun perks we have for each tier! 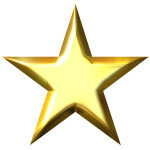 And, if you won a prize and have not picked it up yet please stop by the front desk to get it! -An in studio Locker to store your gear in so long as supplies last! -NO MORE PAY TO HOLD CHARGES! *This list is as of March 31, 2017. We will try to update it each quarter or so. Numbers are as close as we could get, but may not be exact since we had switched software systems a couple years ago. *If you would like your name removed from this list please email reservations@studiosweat.com and we will do so! 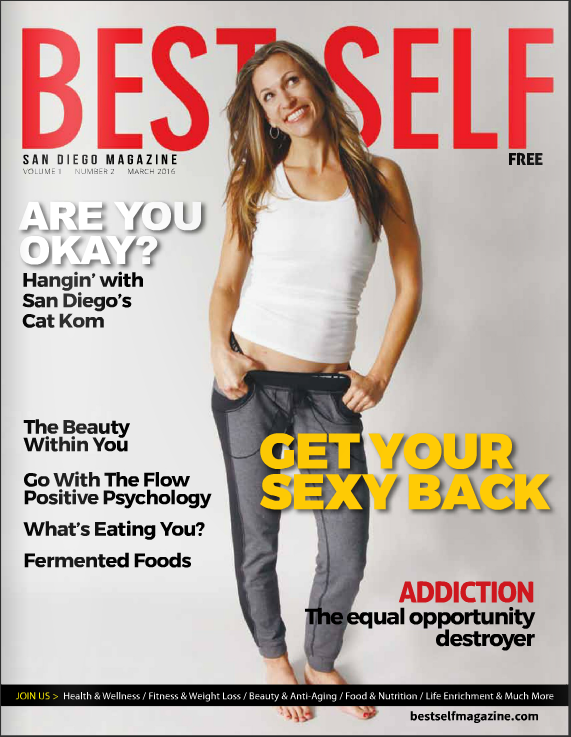 Featured in “BEST SELF” Magazine! Guess what? This month’s issue features our very own Cat Kom! The publisher of Best Self Magazine was introduced to Cat, loved her story, and next thing you know he asked Cat to write an article for his magazine. I guess he liked it because he ended up putting her on the cover. WOW! She based the article on a message she wrote to you guys back in October of last year. Maybe you remember it; it was titled “okay”. The publisher loved it and thought his readers might gain from that message too, so with the help of collaborating author, Carolyn Erickson, the article took form. Whether you have or haven’t read Cat’s initial message back in October, be sure to check out her expanded article based off of it in this month’s Best Self issue! San Diego Studio Tour Now Available! Enjoy this full tour of Studio SWEAT with Cat Kom and Brian!